→Do Essential Oils Kill Dust Mites? Do Essential Oils Kill Dust Mites? Essential oils are widely used for medical applications and also for cosmetic and beauty treatments. ​Some other famous essential oils are Lavender, Peppermint, Neem, Cedar, Thieves, Coconut and Clove. Tea tree oil or melaleuca oil is distilled from the leaves of the Melaleuca alternifolia tree native to Australia and New Zealand. Having a very distinctive camphor-like smell, it has properties that claim to help with dermatological conditions such as acne, dandruff, and herpes. In the 1920s, the commercial use was investigated by Australian Arthur Penfold who found that tea tree oil showed strong antiseptic properties. Eucalyptus oil comes from the leaves of the Eucalyptus Globulus tree, an evergreen native to Australia. In the last few centuries, the tree has been found in India, South Africa, and Europe. Eucalyptol, the component found in the oil, is used in many over-the-counter products such as rash creams, inhalers, liniments, toothpaste, and mouthwash. Respiratory problems are treated with medicines containing eucalyptus due to the antibacterial, antifungal, antimicrobial, antiviral, anti-inflammatory and decongestant properties. The house dust mite is a microscopic organism thriving in warm environments. They are found in homes even if it’s the cleanest on the block. Feeding on dead skin cells and difficult to eradicate, they have been shown to be a significant source of allergies worldwide, particularly in humid geographical areas. Chemically-based products have been used to eliminate them but studies show that there is resistance over time and the continuous use of chemicals can have detrimental effects on humans. Does tea tree oil or eucalyptus oil kill dust mites? 1) In one scientific study, published in the Journal of Zhejiang University SCIENCE online, 14 essential oils were used to test the effectiveness on house dust mites. It suggested that eucalyptus essential oil was an acceptable agent for killing dust mites besides being eco-friendly and biodegradable. 2) Another study published in The Journal of Allergy and Clinical Immunology used eucalyptus oil combined with a specific kitchen detergent to eliminate dust mites. The results showed a significant percentage of dead dust mites when using eucalyptus oil. This study also found that it is possible to reduce regrowth of live mites in blankets by more than 95 percent without having to use hot water that may damage some fabrics. 3) The third research project found in The Korean Journal of Parasitology experimented with six different essential oils that are usually used as repellents, antiseptics, and anti-stress agents. In their findings, tea tree oil used in a slightly higher concentration was effective in killing dust mites. There are products available containing eucalyptus oil to kill dust mites. Bosisto’s Dust Mite Wash and Allergen Wash, launched in 2013, along with Dust Mite Spray is part of the company’s “Dust Mite Control Program”. The clinically-proven Dust Mite Wash contains eucalyptus oil and no chemical pesticides. No hot water is required and kills 99 percent of dust mites. The Dust Mite Spray is another eucalyptus-based product that can be used on non-washable items such as mattresses, pillows, curtains, and carpets. Both products are non-toxic and easy to use for a very affordable price. Another option is to make your own household product using tea tree oil to kill dust mites. Tea tree oil is the most effective natural compound and will even kill bacteria just spraying it into the air. Using a dark bottle, combine two cups of water with two teaspoons of tea tree oil and shake. Since essential oils are sensitive to the light and can lose their healing properties, do not use a clear, see-through bottle. Spray all areas that might be infested with dust mites like linens, upholstery, carpeting, mattresses, pillows, and even blankets. Spraying often will keep the mites from repopulating. The smell is strong at first but will dissipate quickly. Make sure to ventilate when spraying and keep away from eyes and mouth. 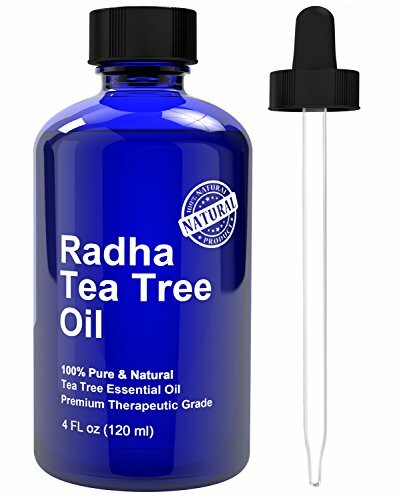 Tea tree oil is concentrated and should be diluted when used. Only buy pure 100 percent essential oil and dilute it yourself. ​For small loads,Soak your bedding for 1 hour in 3 gals. of hot water and 1.5 oz. of Eucalyptus EO. Then wash in the washing machine as normal.